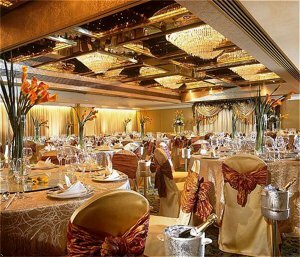 Located in a superb downtown location in Tsimshatsui, Regal Kowloon Hotel is the best choice for business and leisure travellers. It offers great convenience for shopping, dinning and entertainment, and is easily accessible to other business districts in Hong Kong and Mainland China. The newly-built Kowloon Canton Railway East Tsim Sha Tsui Station is within seven minutes of walking distance from the hotel which also links to the Mass Transit Railway Station through the new subway. It takes only 45 minutes from the hotel to the Hong Kong International Airport. 600 guest rooms, of which 35 are suite(s), Each and every one of our 600 well-appointed, gracefully furnished room and suites in the Hotel reflects our commitment to providing the most satisfying level of hospitality. Embark on a culinary tour around the world at our five chic and stylish restaurants, which feature diverse choices ranging from contemporary American Food to Oriental dishes, refreshing cocktails to sumptuous buffets. A well-equipped gymnasium with extensive range of exercise equipment, ones can enjoy TV entertainment whilst keeping a smart body.